Indonesia’s Anak Krakatau volcano island — which erupted and collapsed a week ago, triggering a deadly tsunami — is now only about one-quarter of its pre-eruption size, scientists say. 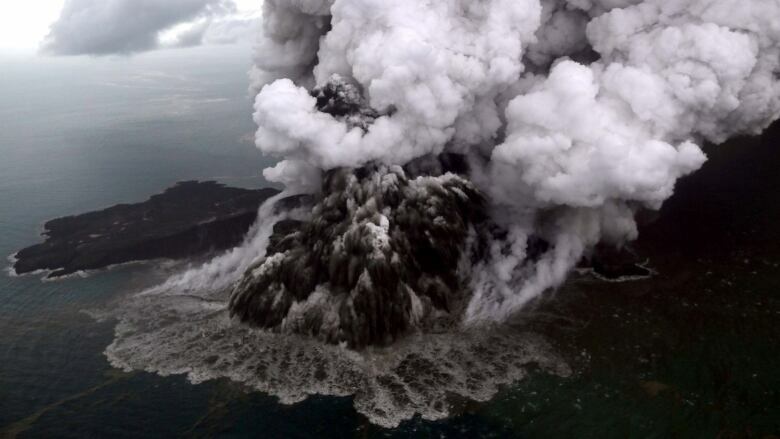 Anak Krakatau now has a volume of 40 to 70 million cubic metres and lost 150 to 180 million cubic metres of volume since the Dec. 22 eruption and tsunami, according to Indonesia’s Centre for Volcanology and Geological Disaster Mitigation. The analysis shows the scale of the island’s collapse, shedding light on the power of the tsunami that crashed into more than 300 kilometres of coastline in Sumatra and Java. More than 420 people died in the waves that were two metres or higher and 40,000 were displaced. Previous Air Pollution Has Put a Brake on Global Warming?